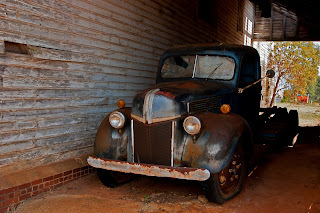 My wife spotted this old Ford in southern Georgia. It's apparently retired and sitting quietly in the shade of this old building. I am generally on the lookout for old abandoned buildings but this was a real treat to find this old workhorse.